Pro Niti Travel is an ethical, eco-friendly, and socially responsible adventure company to create memorable travel experiences. "We are providing personalized adventure travel services to leisure and business travelers. We plan and organize for adventure trips to explore culture and ethnicity. We are recognized for our excellence, integrity, and innovation that culminates to satisfy guests with memorable experiences." 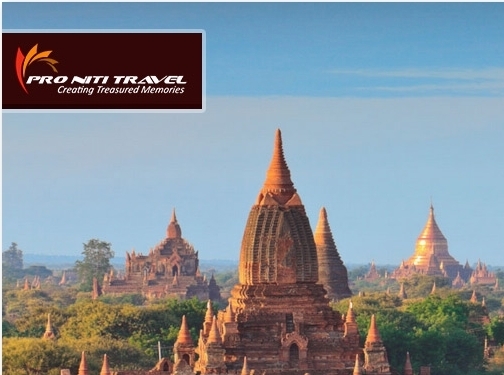 Pro Niti Travel is a team of adventure seekers who are constantly seeking new and exciting destinations within Myanmar to introduce to our foreign guests. Not only do we search for exciting destinations, but we also uncover truly adventurous experiences to share with our guests. This includes the mountains and it's colorful hill tribes for which Myanmar is so famous. We meet up with village Chiefs to get their permission to introduce foreign guests to their communities. We explore idyllic beaches and hidden places along the mighty Ayeyarwaddy River where we can create memories for our guests. We play "Indiana Jones" among the ancient ruins and discover interesting facts about our rich history. Why? Because we are awesome, and we really have a passion for helping our foreign guests to Myanmar creating awesome memories. According to the most authoritative travel review website, TripAdvisor, we are excellent, so they awarded us with their Certificate of Excellence. We are so proud to be so excellent! We know our guests don't buy just "travel planning". They buy, and really only care about what is important to them – experiences, adventure and making travel dreams come true. The rest is all taken care of by our team so you can have peace of mind while creating beautiful memories! Our guests appreciate our commitment to responsible travel. Myanmar is still at the inauguration stage of tourism with many communities never been exposed to foreign visitors. It is important to carefully introduce these communities to the positive impact of tourism. We are serious about eco-friendly living and conservation of nature so we encourage our guests to participate in this education process to the communities we interact with. We try hard to leave a positive impact wherever we travel. Our company commits an ongoing contribution of 1% of our profit to benefit these communities and create sustainable living. We allow our guests to get immersed in authentic local experiences at the level of their choosing. We focus on innovation in our creation of travel adventures and itineraries. We don"t believe in following the crowds, even though we do make sure our guests experience the classic destinations that make Myanmar such a sought after country among travelers. Myanmar (Yangon) based business - established over 4 years ago providing a range of travel agency services. Website includes details of services provided, "meet the team" page, testimonials, certifications, FAQs, regularly updated blog, associations, full contact details.